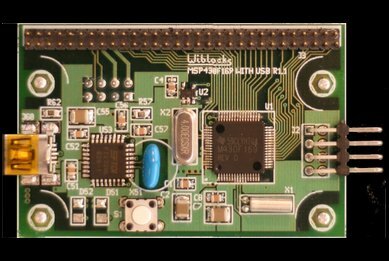 Information on the Atmel based development boards, that started with the dorkon-i, have been moved to the wiblocks website. 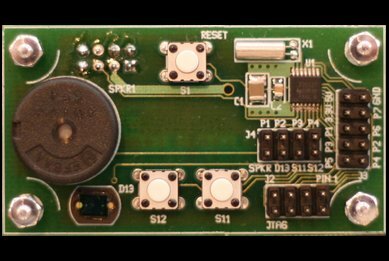 These MSP430 microcontroller systems consist of a stack of three boards --- a power supply board, a microcontroller board and an interface board. 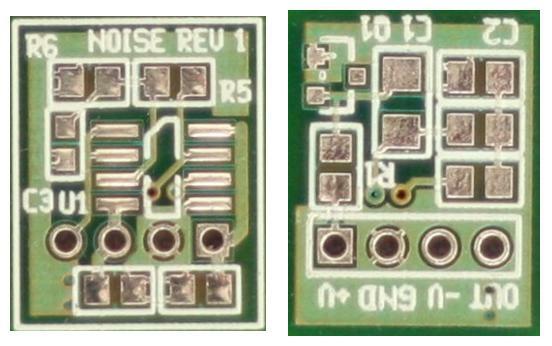 The basic form-factor of each board is 1.3x2.4 inches. Different size boards are possible provided that the connector and mounting hardware allign. The microcontroller board (right) is based on the Texas Instruments MSP430F169 16-bit Ultra-Low-Power MCU. 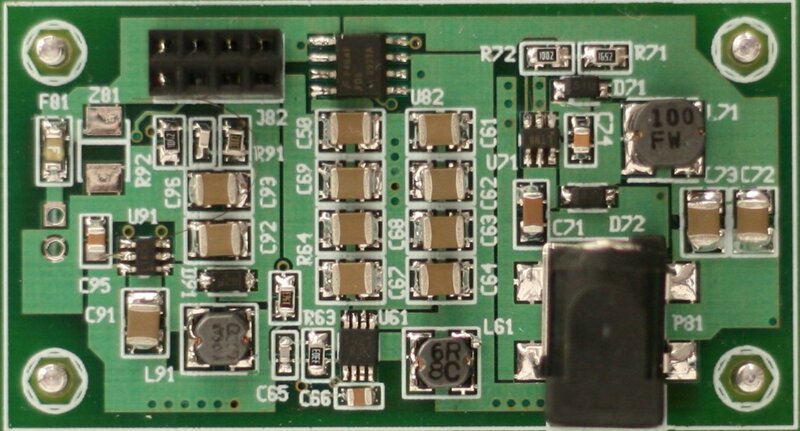 The microcontroller has 60kB Flash, 2048B RAM, 12-Bit ADC, Dual DAC, 2 USART, I2C, HW Mult and DMA. The active-mode power consumption is 330uA at 1MHz (2.2V), 1.1uA in Standby Mode and 0.2uA in Off Mode (RAM Retention). 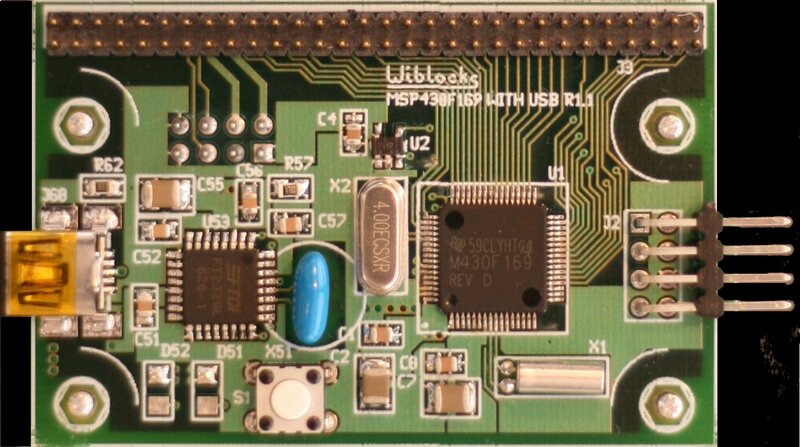 The board contains a USB port(left), a JTAG header(right) and I/O header(top). The I/O header brings out the majority of the I/O pins of the MSP430F169. 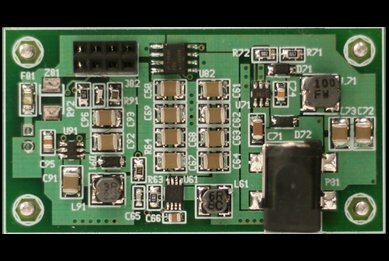 The form-factor of this board is 1.6 x 2.45 inches. This CPU board is based on the Texas Instruments MSP430F20x2 family of CPUs. IO pins P1.1-P1.7 are brought out to header connector J3 (right). 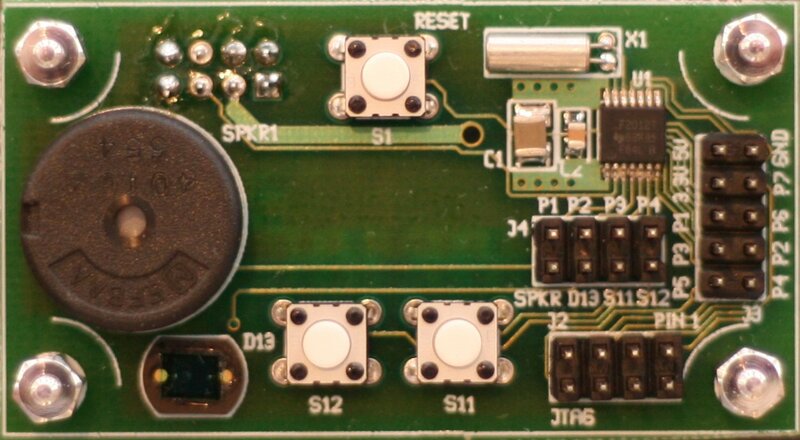 The onboard peripherals consist of two pushbuttons, a photodiode and a buzzer. The header connector J4 is used to enable the on board peripherals. 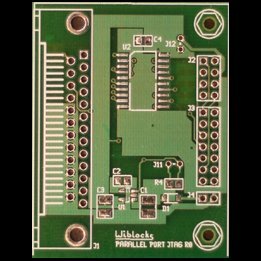 The coincell power supply board contains a 3V to 5V DC-DC converter, a CR2450 coincell holder and a current sink that trickle charges a flat supercap that is on the back of the board. The header connector (J82) brings out the supercap voltage, the 5V power supply output and 5V enable line. The missing connector (J81) on the bottom is used to fast charge the supercap. 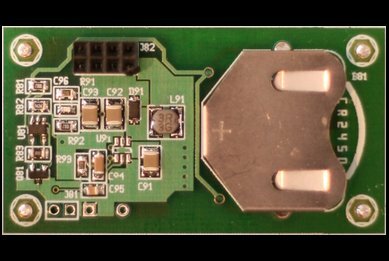 This power supply consists of three DC-DC converters, an external battery and a powerpath controller. The primary mode of operation of this supply is from an external 3V battery. 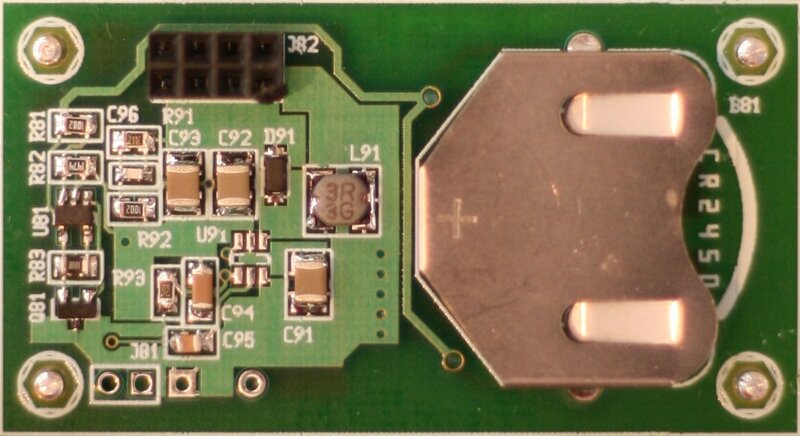 The connector (J82) on the top of the board brings out 3.3V, the status line from the powerpath controller, the 5V power supply output and 5V enable line. 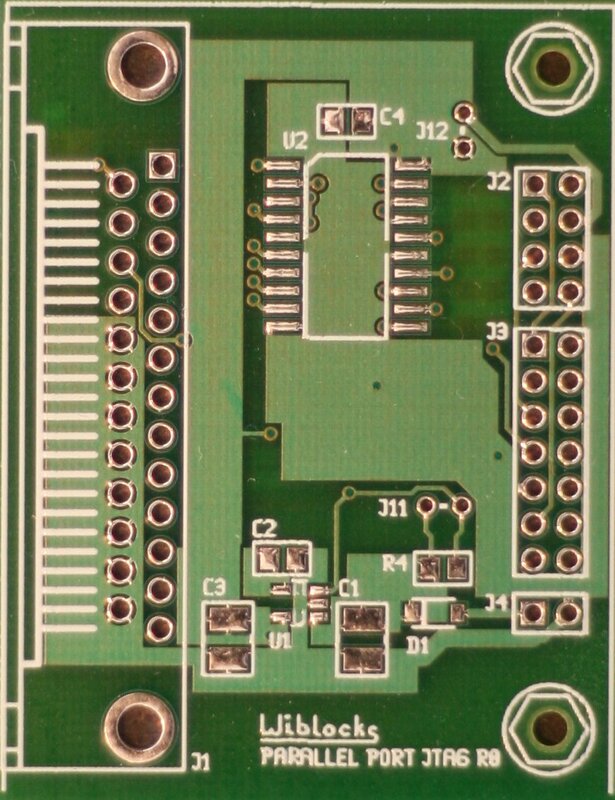 This adapter is based on the TI JTAG application note slau138e. The parallel port is on the left, the standard 14-pin JTAG port and an 8-pin JTAG port are on the right. The 8-pin port is used on the MSP430F169 and MSP430F20x2 microcontroller boards.